A Knight Elementary student was riding his bike after school Wednesday when he collided with a white Chevy pickup. Afterward, the child was alert and responsive, but paramedics still placed him in an ambulance for observation. 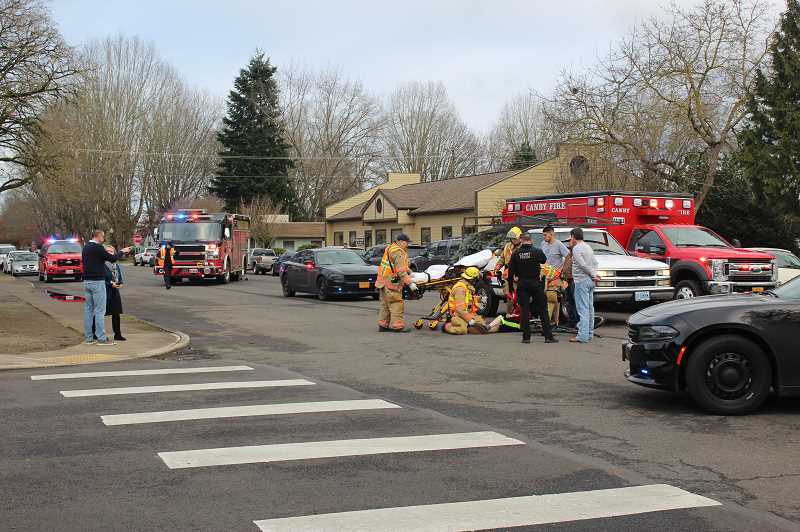 The accident took place Wednesday, Jan. 23 around 3:30 p.m. at the intersection of North Fir and North 4th on the backside of Knight Elementary. The Chevy truck was driven by Ricardo Sandoval. Sandoval was headed west on 4th, and said he was slowing down at the intersection since there was a line of cars to his right. He said he saw one child turn left on his bike instead of entering traffic, but another kid steered straight out into traffic. "I couldn't do anything," Sandoval said. "I just hit the brakes." The bicyclist was not wearing a helmet, and Sandoval said his bike did not appear to have brakes. According to Sandoval, it seemed the child tried to avoid the accident by turning his bike, but it wasn't enough. Sandoval stayed on scene to talk to police. Police also interviewed the other student who was riding a bike near the accident. He said he didn't see the collision, but heard a "big crash." "I'm glad he's okay," Sandoval said. The child was alert and responsive, but remained sitting upright on the ground until paramedics placed him on the stretcher. His bike was intact. School staff were able to contact the child's family, and Principal Christine Taylor rode in the ambulance to a local hospital with the student, according to a letter from District Communication Coordinator Autumn Foster. She also said the student is expected to make a full recovery. 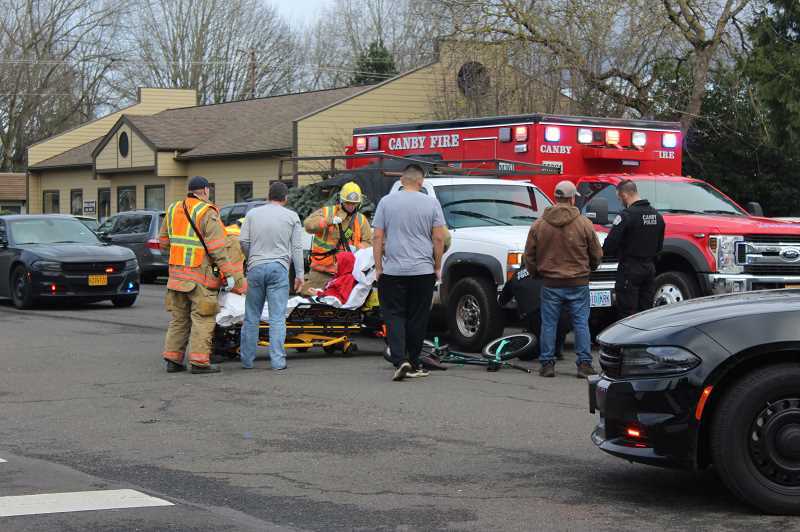 Both Canby Police and Canby Fire were on scene. On behalf of the district, Foster thanked them for their quick response to the incident.